American Health Council is proud to welcome Jonel Kinser, Clinical Audit Coordinator at North Carolina’s Wake Forest Baptist Medical Center, to its Board of Nurses. 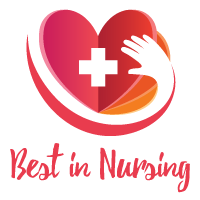 Ms. Kinser’s 27 years of expertise and success in nursing and audit/compliance is being recognized as triumphs within exceptional healthcare. Ms. Kinser obtained her ADN in 1990 from Asheville Buncombe Technical Community College, followed by her BSN from Winston-Salem State University. For 15 years, Kinser has worked at Wake Forest as a nurse, becoming involved in her profession after experiencing her father’s issues with cardiac arrest as well as the influence of her great aunts, who both became prominent nurses in the mid-1900’s. At Wake Forest Baptist Medical Center, Ms. Kinser handles government billing audits and appeals, often working alongside other team members within the organization to facilitate resolutions regarding billing concerns of the patients. Kinser has worked closely with the compliance department to resolve these issues and concerns to guarantee exceptional service. 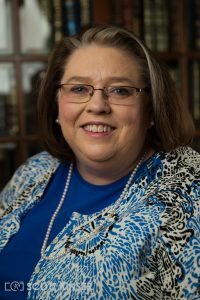 Attributing her success to her education and always staying current within her field, Kinser has been garnered with numerous honors and awards, including standing as President of the Triad Chapter of North Carolina Nurses Association from 2013-2014. Ms. Kinser has also been honored with the Distinguished Worldwide Humanitarian Award (2016), was inducted into the Elite American Nurses (for her dedication and leadership in cardiovascular care) and Top Female Executives (2015), was VIP of the Year in Cambridge’s “Who’s Who?” (2007, 2009), and was inducted into the “Who’s Who?” for Executive Membership in 2007. Her professional associations include the American Nurses Association and the North Carolina Nurses Association. Charitable organizations which Ms. Kinser stays actively involved in include The United Way, The American Cancer Society, and St. Jude’s. In her spare time, she enjoys reading, knitting, and spending time with family. Wake Forest Baptist is an integrated system that operates 1,004 acute care, rehabilitation, and psychiatric care beds, outpatient services, and community health and information centers located in Winston-Salem, North Carolina. The Medical Center is a preeminent, internationally recognized academic medical center of the highest quality with balanced excellence in patient care, research, and education serving a wide range of medical services, including oncology, urology, geriatrics, ear, nose, and throat care and orthopedics. With a mission to improve the health of our region, state, and nation, Wake Forest Baptist generates and translates knowledge to prevent, diagnose, and treat disease as well as train leaders in health care and biomedical science. To ensure a safe hospital environment that is the best for their patients, they constantly evaluate their performance and measure it against other top hospitals.